Edinburgh is the most popular destination Britons would visit if they had more spare time, a survey has found. The Virgin Trains poll of 2,000 people found 51 per cent would visit the Scottish capital, making it the most attractive destination in Britain. York is the runner-up at 48 per cent, followed by Oxford (43 per cent), Bath (40 per cent) and London (37 per cent). 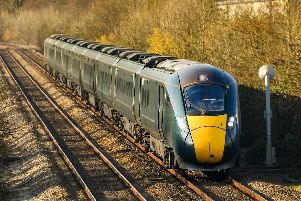 It found that a third of people (33 per cent) enjoy train travel because it “gives me time to myself”.